← My new book is available for pre-order! 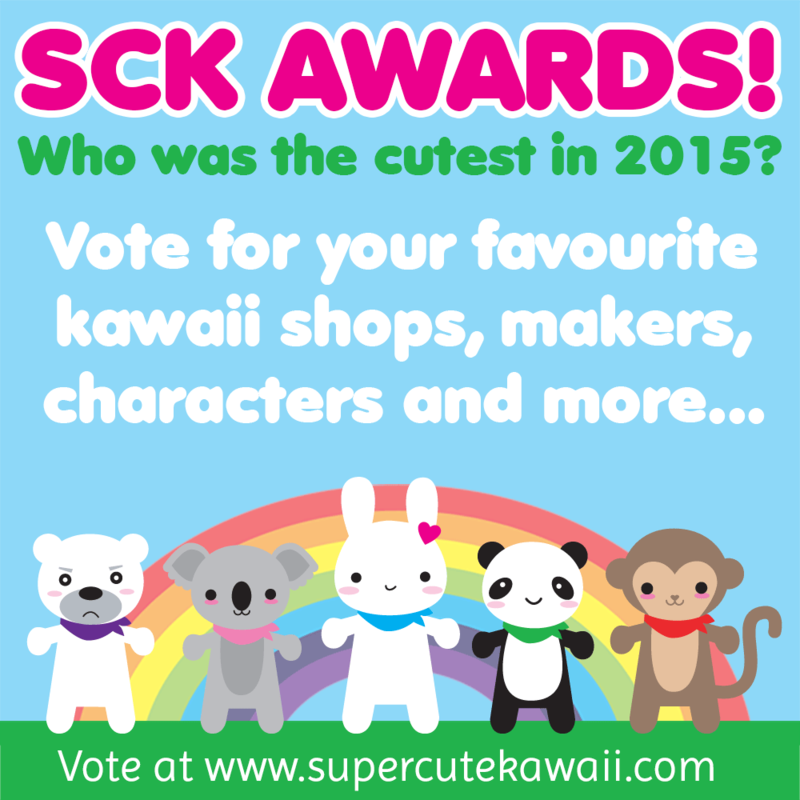 SuperCuteKawaii Awards 2015 – Nominate your favorites! Super Cute Kawaii – your daily dose of handmade cuteness and Japanese kawaii – has opened nominations for their 2015 SCK Awards! Click on over to their website to learn more! Last year, I was so super duper honored and surprised to win as favorite blogger and to receive 2nd favorite maker as well as kawaii person! Here’s an interview with me after learning I had won! I had no idea the awards were even happening and was really amazed about and thankful for everyone who voted for me. I feel like I kinda slacked off a bit on the blogging and the making and the kawaii-being this year while working on my book, so I can’t wait to see who y’all nominate and vote for for 2015 :).